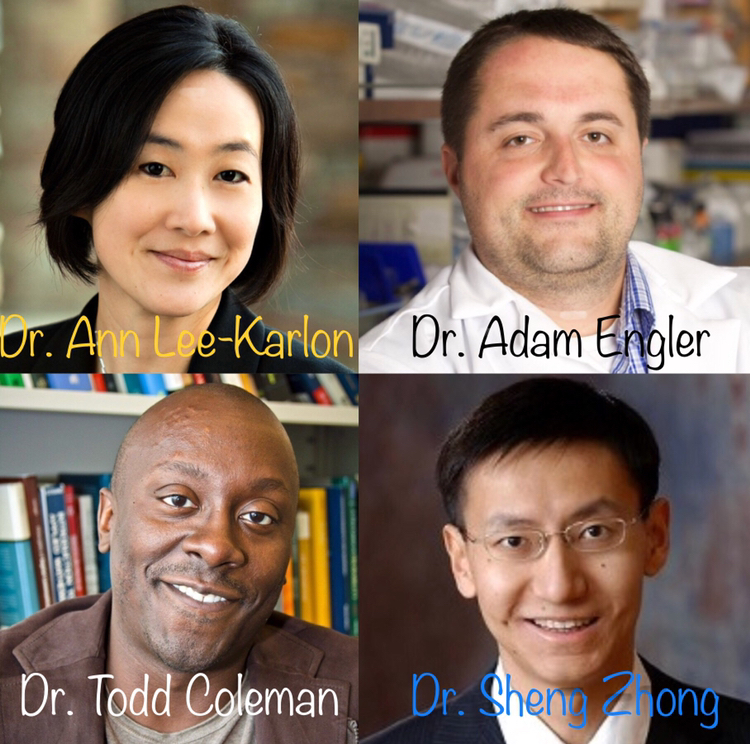 Alumnus Ann Lee-Karlon and Professors Adam Engler, Todd Coleman, Sheng Zhong, have been elected to the AIMBE College of Fellows – Class of 2018! "For outstanding contributions to our understanding of how physical cues regulate cell behavior." "For outstanding contributions to physiologic signal processing, scalable manufacturing methods for flexible bio-electronics, and neuro-engineering education"
"For developments of bioinformatic methods and molecular biotechnologies in revealing molecular interaction networks and understanding personal variations". As you may know, this year AIMBE received a record number of nominations. As AIMBE’s review and election process has become more rigorous, increasing numbers of very strong candidates are being nominated. It is a credit to the remarkable accomplishments of your candidates that they advanced from the specialty review subcommittee and received sufficient affirmative votes to be elected. Their election and induction will place them in a very select group of the most accomplished in the fields of medical and biological engineering. However, please note they are not an official AIMBE Fellow until they attend the induction ceremony at the AIMBE Annual Meeting on April 8 & 9 in Washington, D.C.
AIMBE's official note of election to your nominees will be sent later this week, along with a link for them to confirm their acceptance and register for the Annual Meeting and Induction Ceremony. Becoming an AIMBE Fellow is more than just another honorific designation. AIMBE Fellows are expected to “give back” by contributing to AIMBE’s critical mission of advancing excellence and advocating for the fields of medical and biological engineering. Never before has it been more critical for those in biomedical engineering to stand up for science and medical innovation.